Samuel Berthod made a strong impression playing his first solo concert at 16 years old, in the Weber clarinet quintet for the Perigord Noir Festival, France. Then he has been invited to perform in many musicals genres in France, Germany, Switzerland, Czech Republic, Poland, Slovakia, Belarus, Ukraine, Denmark, Sweden, Finland, Canada and Australia where he used to live. He studied with Alain Damiens in Paris, and Armin Ziegler in Francfort (Germany). He plays a « RC new model » clarinet by Buffet-Crampon, combined with Vandoren mouthpieces B40 D, B 45 & 7 JB. He’s a laureate of the Radio-France foundation, Res Artis foundation in Finland and Thy masterclass foundation in Denmark. A clarinet and klezmer teacher in Paris at the Russian Conservatory of Music Sergueï Rachmaninoff and the 10th arrondissement Conservatoire, as well as Voiron and Montargis conservatories, and Åtvidaberg School of Arts in Sweden. He gave masterclasses at the Australian National University, the Belarusian Academy in Minsk, the Odessa / Chernihiv / Lviv Academies in Ukraine. 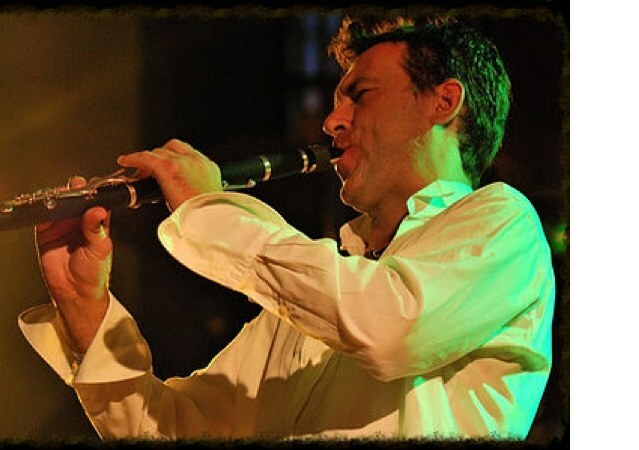 Samuel Berthod plays classical music, jazz, klezmer, Balkanic, world music, contemporary, electro, improvisation, and is also a composer and arranger. He composed a klezmer clarinet quintet with string quartet, a clarinet concerto and one symphony. He also wrote jazz music, played live by the radio in Australia. The 2018 season includes the Mozart clarinet concerto and Molter clarinet concertos 1 & 5 with the Collegium Musicum in Lviv (Ukrainian premiere), the Mozart concerto in Paris (Madeleine church), as well as a recording with string quartet (Prokofiev, Glazounov, Berthod) and a recording of improvisation with electro music.